Southeast Asian countries are the best place to visit during a long holiday. There are even backpackers who can visit Thailand, Malaysia, Cambodia, Laos and Vietnam in a few days. So quick and easy to move from one country to another country. This must be the reason why many foreign tourists come to these Southeast Asian countries. Now, speaking of a very long holiday, I suggest you to come and visit Vietnam. You can talk to a certified and trusted travel agency and arrange your trip. You can surely visit the most popular and important tourist destinations of the country in just two weeks. Later on, you might say that you want more of Vietnam’s finest places. Here a Vietnam tour Itinerary for your 2-week stay. This day is a part of your planned tour. Your travel agency will assign a tour guide or people to pick you up from the Tan Son Nhat Airport upon your arrival. And then, they need to send you to your hotel accommodation in Ho Chi Minh City or Saigon. Relax and enjoy your sleep because you will have a very busy day to come. Today is your Ho Chi Minh City tour. Your tour guide will pick you up from the hotel. The first destination is the War Remnants Museum, so here you will learn about the Vietnam and American Wars, see exhibits of photos, machines and weapons. Next, you will visit one of the most popular temples, the Thien Hau Temple. And then, you will be having lunch in the China Town. 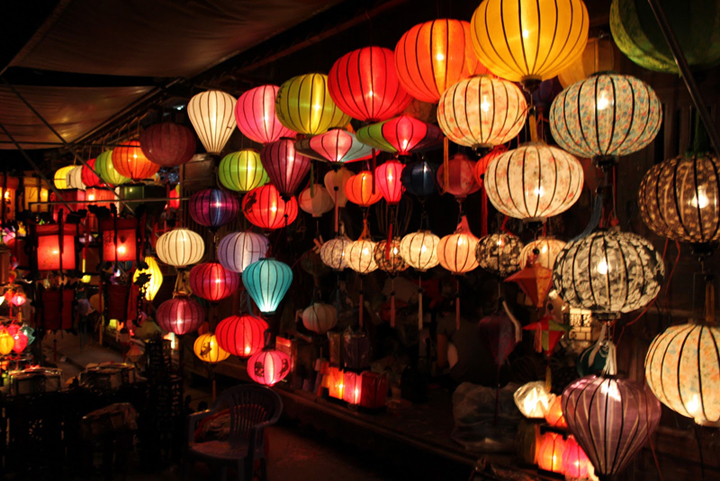 You will find here the famous Binh Tay market, where they offer great deals for wholesale traders. In the afternoon, you will head to the Reunification Hall, the residence of the late Ngo Dinh Diem. Now, check out the product of French architecture in Vietnam. You will visit the Notre Dame Cathedral, the General Post Office and the City Hall. 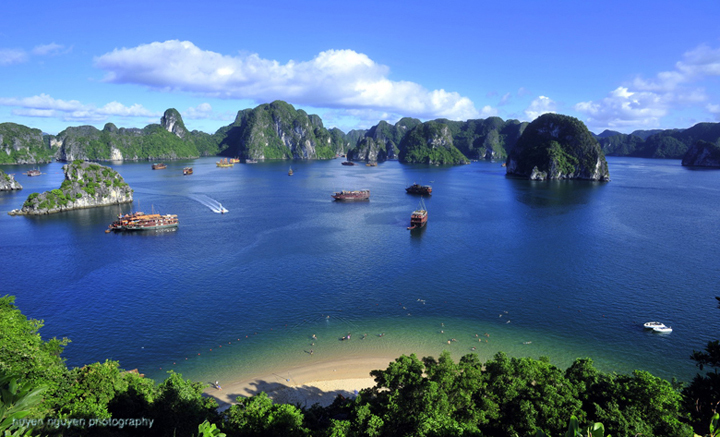 Today, you will be cruising the Ha Long Bay, where you will be passing some islands, islets and fishing villages. You will also visit the famous Surprising Cave, may do some kayaking, rock climbing and swimming. Enjoy your sleep on board. Before heading back to Saigon, enjoy cruising as you visit the Ha Long Pearl Farm and Van Gia floating village. In the morning, you will visit the Ho Chi Minh Mausoleum and Museum, the One Pillar Pagoda, the Quan Thanh Temple and the Buddhist Tran Quoc Pagoda. And then, the Ethnology Museum, the Literature Temple, Quoc Tu Giam – a university, pass Hoan Kiem Lake to see Ngoc Som Temple and the Hanoi Old Quarter in the afternoon. Fly to Hue City and rest for the next day. Visit the tombs of Minh Mang, Khai Dinh and Tu Duc; and then the villages making hats and incense. Tour of the Hue Citadel, Thien Mu Pagoda and sail along the Perfume River. Travel to Hoi An, buy some silk clothes and rest for the next day. Explore the ancient town, Tan Ky house, Japanese Bridge, Hoi Quan Phic Kien Pagoda and the Handicraft village. Take a flight back to Saigon. Travelling to Mui Ne. you can relax on the beach and rest for the next day. Enjoy the Lotus Lake, the white and the yellow sand dune. Have fun on the fish farms. Going back to Saigon in the afternoon. You will have time to move around the Ho Chi Minh City and have a tour of the Cu Chi Tunnels and then, play some gun shooting. Arrive in My Tho and explore the Mekong Delta by visiting the Unicorn Island, bee farm, cruise the river, go to coconut factory, eat tropical fruits and sleep in Can Tho. Enjoy the Cai Rang Floating Market. Visit the factories of rice paper, noodle and rice processing. Go to Chau Doc to visit the Crocodile Farm in Long Xuyen and rest for the next day. 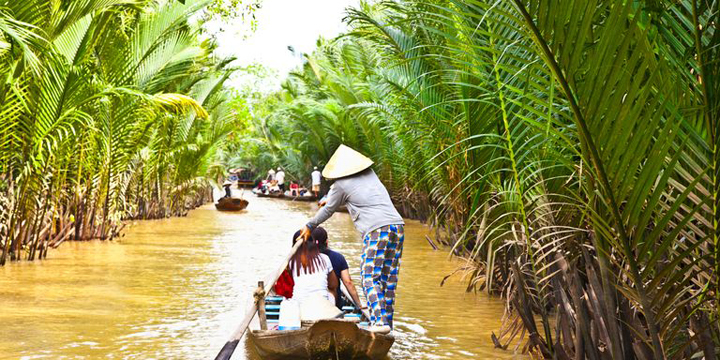 Travel down the canals of the Mekong Channel, visit the catfish farm and the Cham Tribal Village. Your trip ends there. You may catch a ride to the airport or boat station for your next destination.